Kosin makes polyurethane squares and rectangular bars by pouring high grade liquid cast polyurethane resins in open cast molds. 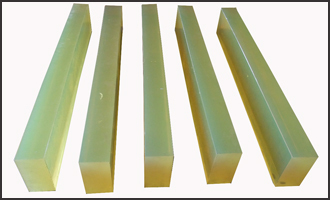 Polyurethane squares and rectangular bars can be made in a multitude of sizes, hardness and color. 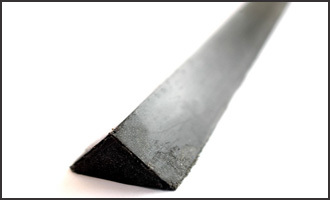 Triangular bars of polyurethane are used in metal working operations. Their primary purpose is to assist in the bending of sheet metal helping form a sharp bend whilst simultaneously eliminating any damage to the product.